Nick Schwab, a dedicated Alexa user (at least judging from his Twitter bio and feed), spotted this upcoming integration in his Alexa app. The picture that is attached came from the Alexa Android app. TechCrunch then reached out to Amazon, and although an official statement hasn't been issued, Amazon confirmed with TC that the integration is rolling out this week. The main Amazon app's massive userbase is a great way to reach potential Alexa/Echo customers. And since there was already a (somewhat useless) voice function in the Amazon app, the few people who used that might take a liking to Alexa. The Alexa that's built into the iOS Amazon app has fewer capabilities than the real deal, but it can still do most things, like answer questions, provide news updates, talk about weather and traffic conditions, control smart home devices, and more. The feature isn't live for everyone on Android just yet, but you should see it within the next few days. Let us know when this appears for you guys. 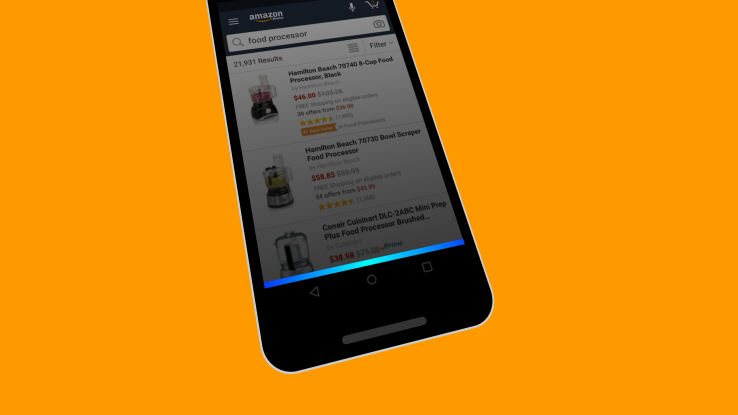 The Amazon Shopping app was just updated with a new changelog stating that Alexa is now integrated. Give it a try and let us know if it works for you. Say hello to Alexa on Android! Tap the mic icon and ask Alexa to buy/reorder products, play music, tell jokes, read Kindle books, control smart home devices on the go and more.